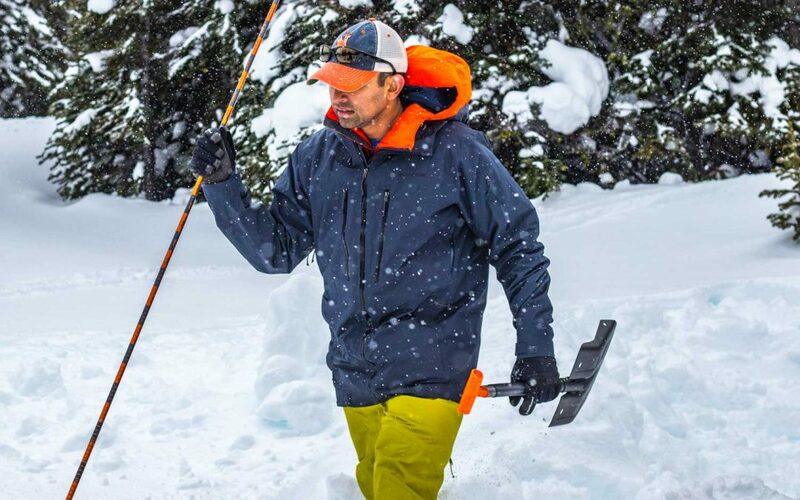 In Part 1 of this backcountry gear series we looked at soft goods and at the various pieces of clothing and ski equipment needed to begin venturing into the backcountry in the winter. In Part 2 we covered Hard Goods and the differences in performance and technology for backcountry skis, snowboards, boots, and bindings In Part 3: Safety Equipment, we will cover a few of the basic rescue pieces that are required to be safe and prepared in the event of an avalanche. This is certainly not intended to be a comprehensive list of everything that is needed to be prepared for backcountry travel in the winter, but a basic outline of the most standard rescue equipment. The three standard pieces of avalanche safety equipment are; Transceivers, Probes/Shovels, and Airbags. For a full list of essential items see our blog post: 22 Essentials to Pack on Any Backcountry Skiing & Snowboarding Trip. The transceiver is the life-line to anyone in the event of an avalanche burial. 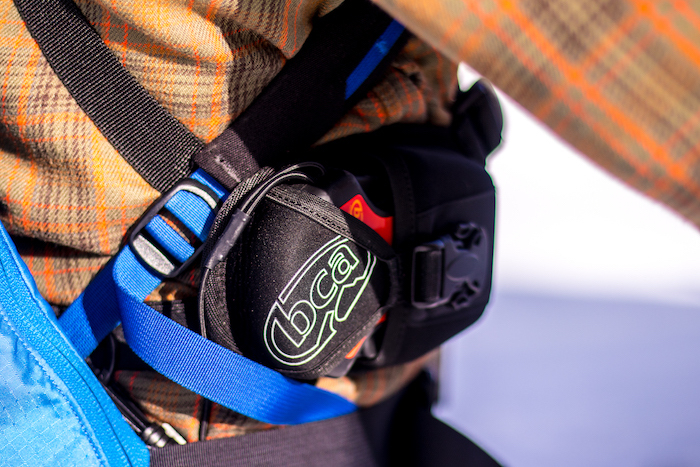 It was first introduced over 30 years ago and is arguably the most important piece of safety equipment you can carry when backcountry skiing or snowboarding. A transceiver is a special device worn under the clothing, that in the event of an avalanche can be used to locate a buried skier or snowboarder. A transceiver is designed to either send out a signal or search for a signal. At the beginning of the day, each transceiver is set to “send mode”, transmitting an electronic signal that can be picked up by other members of your party. In the event of an avalanche and a person becoming buried, the remaining members of the group switch their transceivers to “search mode” allowing it to receive the electronic signal from any transceiver in “send mode”. This allows for a buried skier’s general location to be determined and the next stage of the rescue process to begin. As technology has improved dramatically in the last decade, transceivers have become faster and easier to use, significantly improving the likelihood of a quick and successful rescue. Even so, proper training and regular practice can not be overstated and are absolutely essential for effective use of the equipment. The primary use of a probe and shovel is to locate and dig out a buried skier once their burial position has been identified with a transceiver search. As a buried skier may be anywhere from a few feet to possibly a few meters below the snow, a probe is needed to pinpoint the exact location before beginning to dig. Probes usually range from 250-350cm in length are fully collapsible and are typically made from aluminum or carbon materials. Avalanche shovels are designed to be extremely strong and durable, and like probes, will collapse to fit inside most backpacks. New materials and technology continue to reduce weights of both probes and shovels, while improving on strength and performance. Although relatively new to North America, the avalanche airbag system has been in use in Europe for over 20 years. 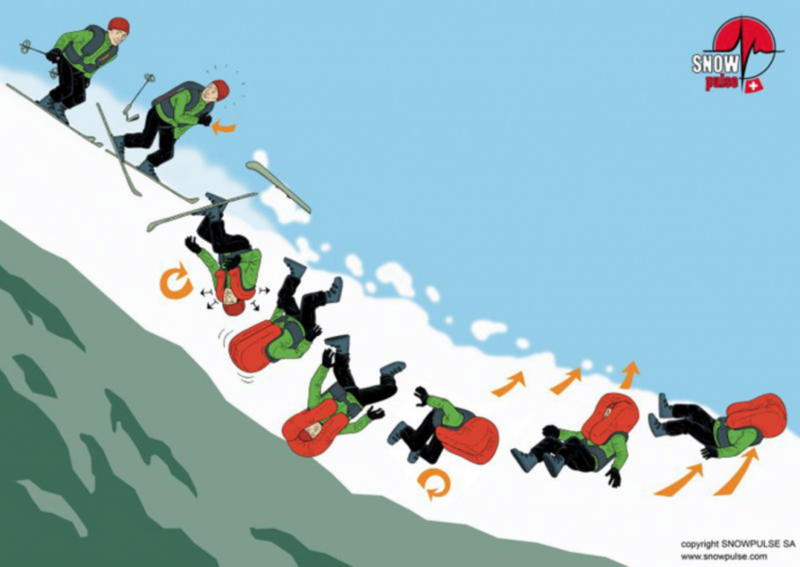 Unlike a transceiver which is designed to search for a buried skier beneath the snow, an airbag is intended to prevent burials and keep a skier on top of the snow in the event of an avalanche. Essentially large balloons packed inside specially designed packs, avalanche airbags work on the concept that during an avalanche, larger objects will rise to the surface and smaller objects will sink to the bottom. Deployed by pulling a handle or cord attached to the backpack, the airbags quickly release from the pack and inflate, increasing the overall size of the skier and significantly reducing the chances of becoming buried. Costing close to $1000.00 CAD, there has been a slow adoption rate of airbags among avid backcountry skiers. With new technology and designs being introduced however, reducing weights, improving functionality, and reducing costs, airbags are becoming increasingly popular and will likely become part of the standard for avalanche safety equipment. 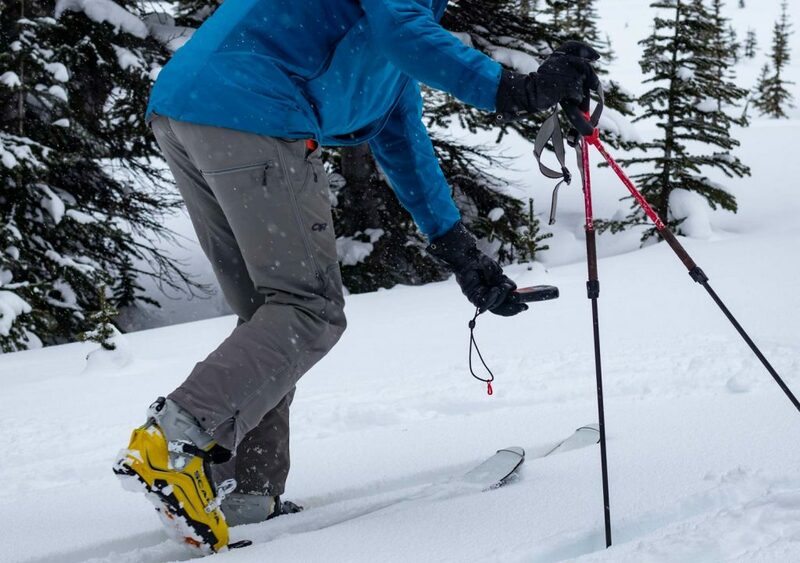 Having the proper safety and rescue equipment is absolutely essential for anyone going into the backcountry. More importantly though, each piece of equipment is only useful with the right set of skills. Anyone entering into the backcountry should first have the appropriate knowledge and training conducted through avalanche awareness and backcountry ski touring courses from certified professionals. Mallard Mountain Lodge dedicates specific weeks each year for introductory ski touring courses. If you’re new to backcountry skiing or snowboarding and want to learn more, sign up to our Intro to Alpine Touring 101 program, or you can also email or call us us for more details.